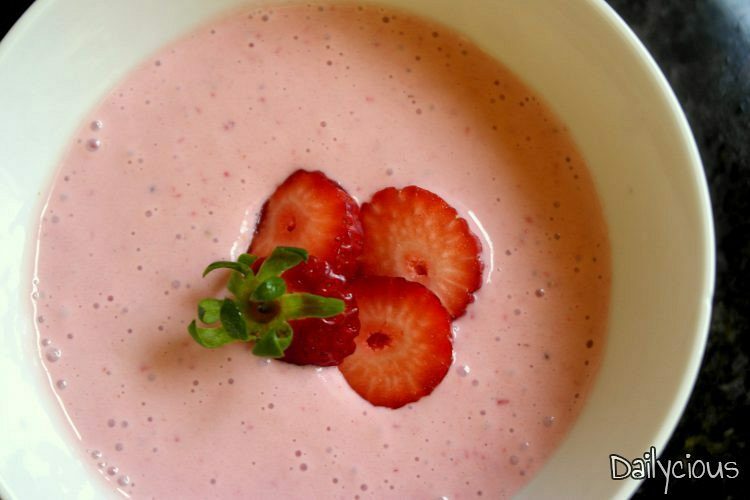 This frozen strawberry soup was made for all of those who love to eat strawberries in any form. To make this delicious and refreshing fruit soup you need fresh strawberries, yoghurt and milk. If you can’t get your hands on fresh strawberries try using mixed frozen forest fruits like raspberries, blueberries, redcurrants, blackcurrants and strawberries. 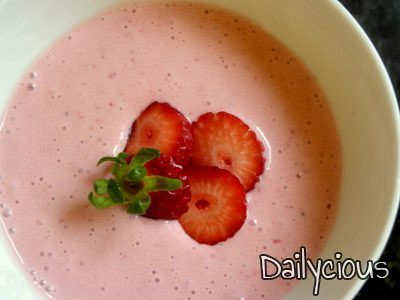 The frozen strawberry soup can be served as a dessert after a light meal or as a snack any time of the day. Make it ahead of time and chill it until serving. Blend all of the ingredients (strawberries, yogurt, milk) until smooth. Chill the soup for 2-3 hrs. Shake well before serving into 2 bowls. Add fresh strawberry halves and fresh mint leaves as a garnish on each bowl.